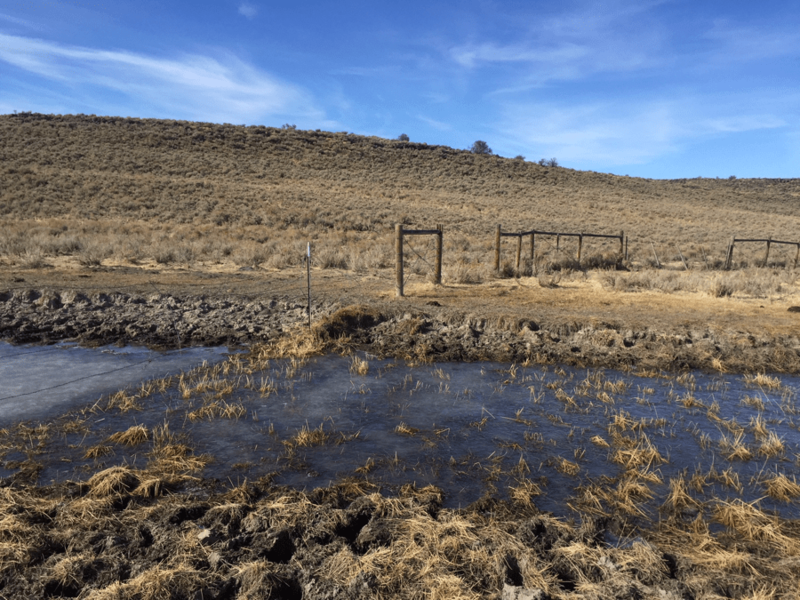 The first photos show the appalling condition of Jacks Creek headwaters upstream of Jacks Creek Reservoir “managed” by Bruneau BLM, and adjacent to the trespassed exclosure we describe in an earlier report. The remainder shows the condition downstream. 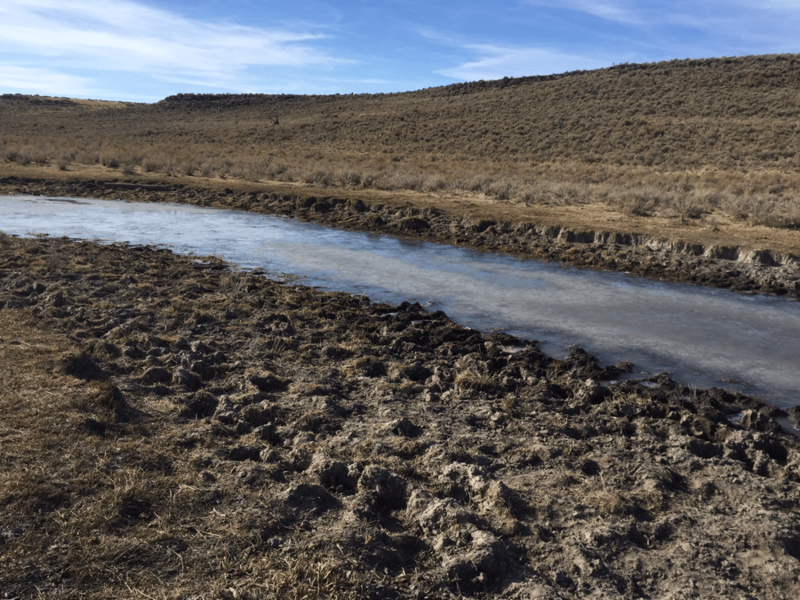 Drainage channel and mesic vegetation severely trampled – destroying the ability of the site to hold and retain water, support mesic vegetation essential for sage-grouse chicks, and trap sediment to keep it out of downstream redband trout habitat in canyons. Extreme, uncontrolled levels of cattle trampling have completely dried up a dying drainage channel and mesic/meadow area. 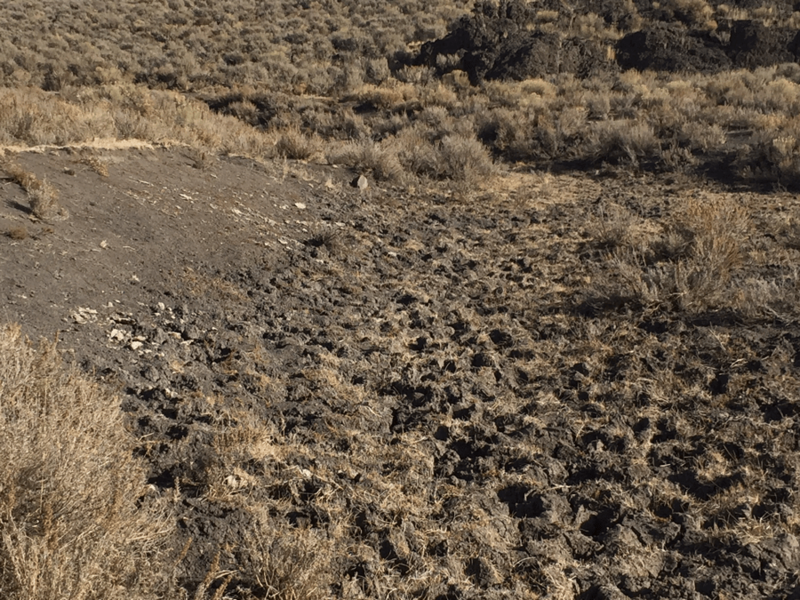 Even though trampling is extreme and very often the primary cause of damage to riparian areas, BLM fails to place trampling standards on such vulnerable sites. This all results in loss of sustainable perennial flows in downstream waters occupied by Snake River redband trout which are disappearing from many Owyhee drainages. 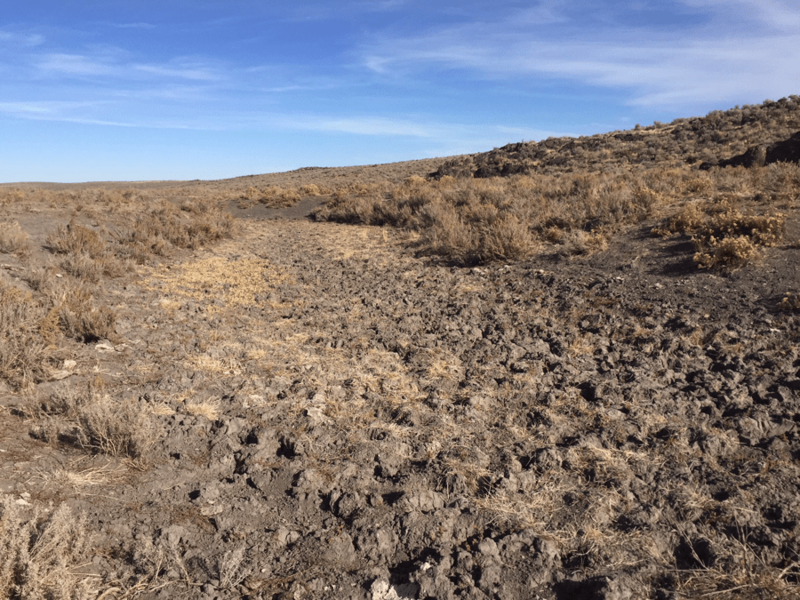 This is another example of how current Boise District and Bruneau Field Office management “cares for” sage-grouse brood rearing habitat in the world’s largest remaining block of contiguous sage-grouse habitat (as shown by the now-scuttled Interior “Focal” habitat designation). This is desertification in action – fast-forwarding the adverse effects of climate change. And all so Simplot and other permittees can reap profits from extraordinarily subsidized public lands grazing, aka Welfare Ranching. Permanent and irreversible losses are taking place across the headwaters. And in the adjacent uplands, the bloated herds of cows and uncontrolled levels of trampling are causing cheatgrass to spread across uplands. 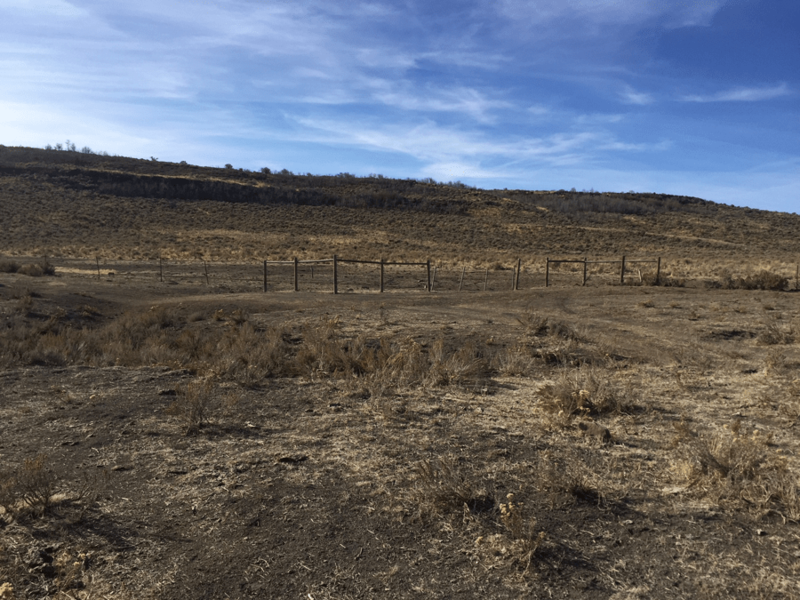 At the same time that large-scale grazing abuse is taking place across the Owyhee uplands, BLM’s primary focus is large-scale tree killing and deforestation – destroying important western juniper habitat relied on by native raptors and migratory birds. Killing these trees is a very expensive smokescreen to distract from the agency’s unwillingness to control welfare rancher destruction of sage-grouse habitats and watersheds that are home to native fish. 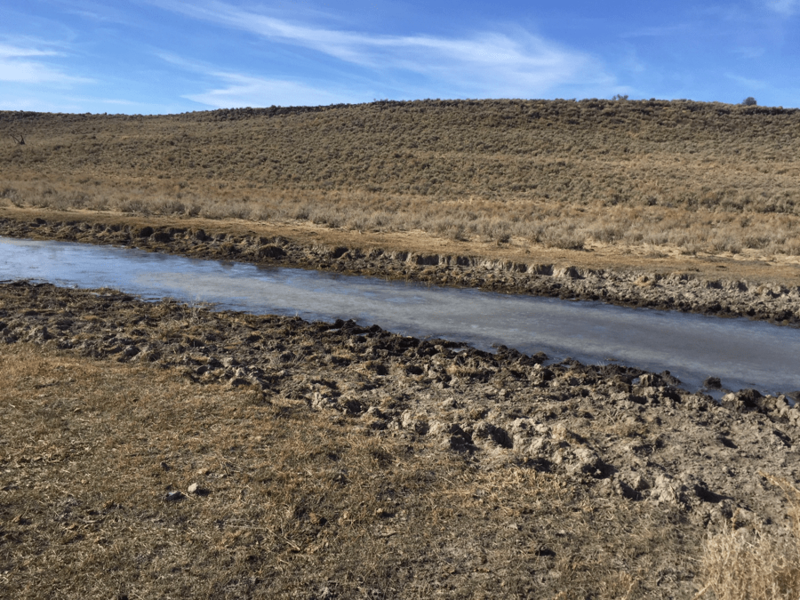 Drainage channel and mesic vegetation severely trampled – destroying the ability of the site to hold and retain water, support mesic vegetation essential for sage-grouse chicks, and trap sediment to keep it out of downstream redband trout habitat in canyons. Cattle-ravaged uplands above Jacks Creek. Herds of hundreds or even thousands of corporate cows beat the public lands to a pulp. Upstream of Jacks Creek Reservoir. Pounded to oblivion. Vile, stinking water with a gross chemical smell – even on a very cold day. Right side of photo – the trespassed Jacks Creek Reservoir exclosure – and left side – Jacks Creek upstream.